For the last time in the regular season, Pierre-Olivier Joseph will grace the halls of the Eastlink Centre. 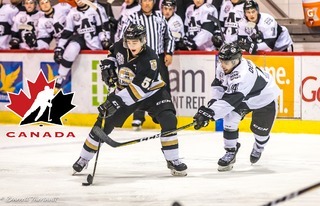 Joseph and the rest of the Drummondville Voltigeurs arrived in Charlottetown yesterday afternoon in advance of tonight’s matchup against the Islanders at the Eastlink Centre at 7:30pm. It will be a night that the Islanders honour their former captain in a pre-game ceremony for his efforts over the past four seasons. 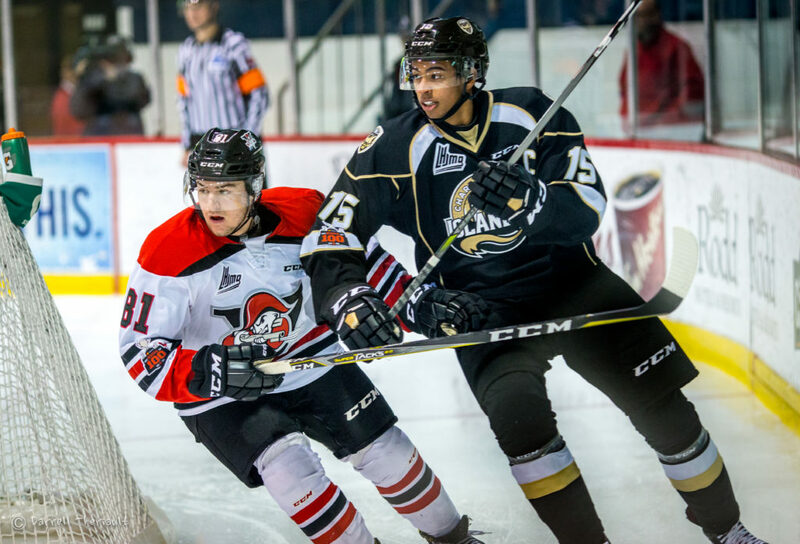 The Voltigeurs are in the midst of a Maritime road trip that kicked off on Wednesday in Cape Breton, where they walked away with a 3-2 shootout victory, a game in which Joseph recorded assists on both of Drummondville’s regulations goals. In 17 games with his new team, Joseph has amassed 11 assists. 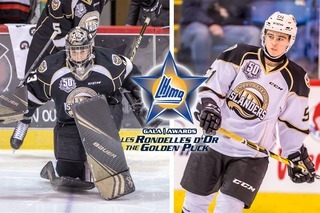 The Arizona Coyotes top prospect isn’t the only weapon that Drummondville has at their disposal. 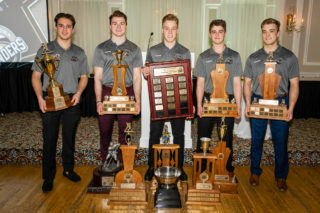 The Voltigeurs have a bevy of NHL prospects, including first-round picks Joe Veleno and Nicolas Beaudin, Edmonton Oilers prospect Olivier Rodrigue, Nashville Predators prospect Pavel Koltygin, and Anaheim Ducks top prospect and captain of Canada’s World Junior team Maxime Comtois. For Islanders defender Xavier Bernard, this game will also have special meaning. The New Jersey Devils prospect was the player who was acquired by Charlottetown from Drummondville in the Joseph trade; this will be the first time he’s played his former team since the trade. 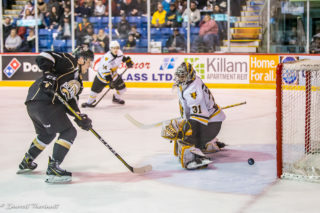 The Islanders are coming off of a 4-1 loss to the Halifax Mooseheads on Wednesday night. 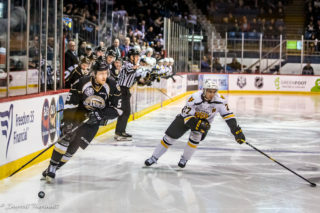 Despite the loss, head coach Jim Hulton said he was proud of the effort his team put forth in that game, and hope the team will be able to capitalize on the momentum generated tonight against one of the top teams in the entire Canadian Hockey League. Tickets for Pierre-Olivier Joseph Appreciation Night are still available at the Eastlink Centre box office or by phone at 902-629-6625. Tonight is also Olde Dublin Pub Happy Hour Night. Carter MacLellan will be playing tunes in the Moose Light Lounge before and after the game; feel free to stop by for free apps and $3 beverages!